3) Raupuk, Leo, son, age 1 1/12, born PA, father born Russia, mother born NJ. 8) Bialik, Charles, boarder, age 43, widow, can read and write, born Russia, father born Poland, mother born NJ, immigrated in 1909, Alien, speaks English, laborer in steel mill. 1. 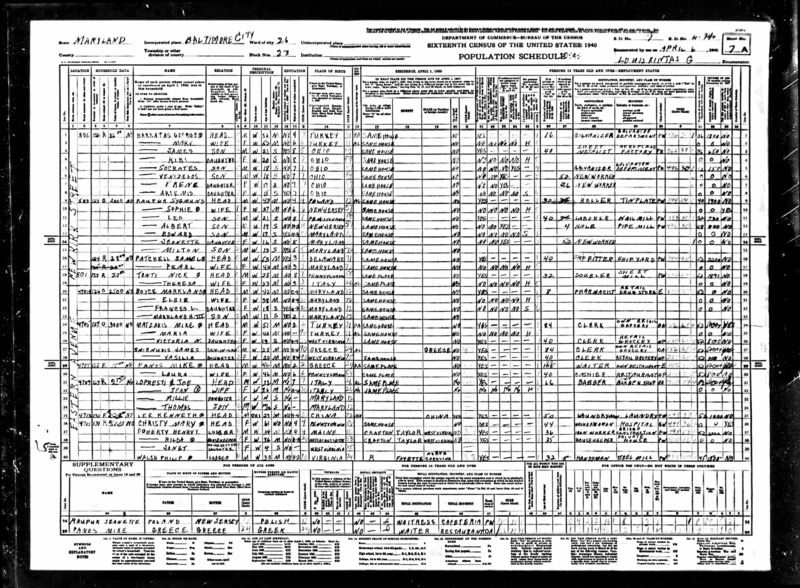 Raupuk, Sygmund, head of household, owns his home at 503 Newkirk Street, valued at $2000, age 43, married, completed 4th grade, born Poland, alien, lived in same house on 1 April 1935, worked 32 hours of private or non-emergency Govt work during week of March 24-30, occupation roller in tinplate industry, a wage or salary worker in private work, worked 40 weeks in 1939, $1900 wages in 1939, no other income. 2. Raupuk, Sophie D., wife, age 37, married, completed 6th grade, born NJ, lived in same house on 1 April 1935, engaged in home housework, worked 0 weeks in 1939, $0 wages, received other income. 3. 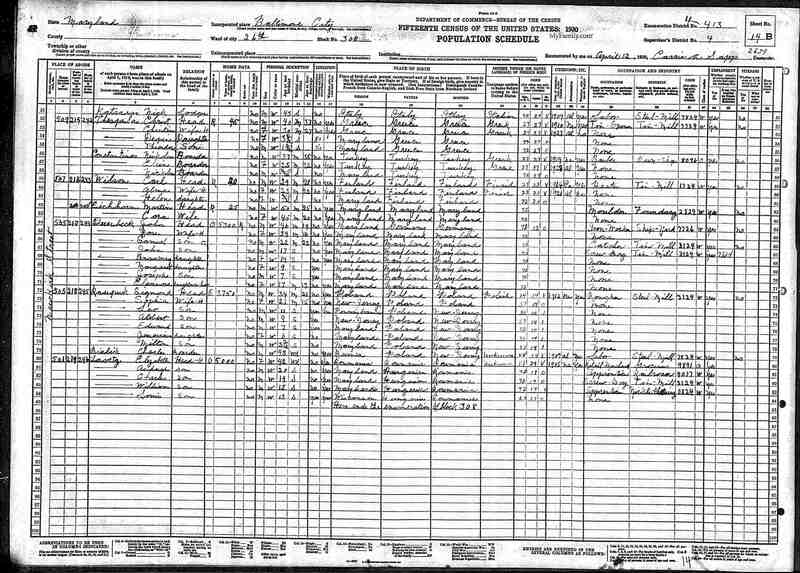 Raupuk, Leo, son, age 21, single, completed 8th grade, born PA, worked 40 hours of private or non-emergency Govt work during week of March 24-30, occupation laborer in nail mill, a wage or salary worker in private work, worked 32 weeks in 1939, $730 wages in 1939, no other income. 4. 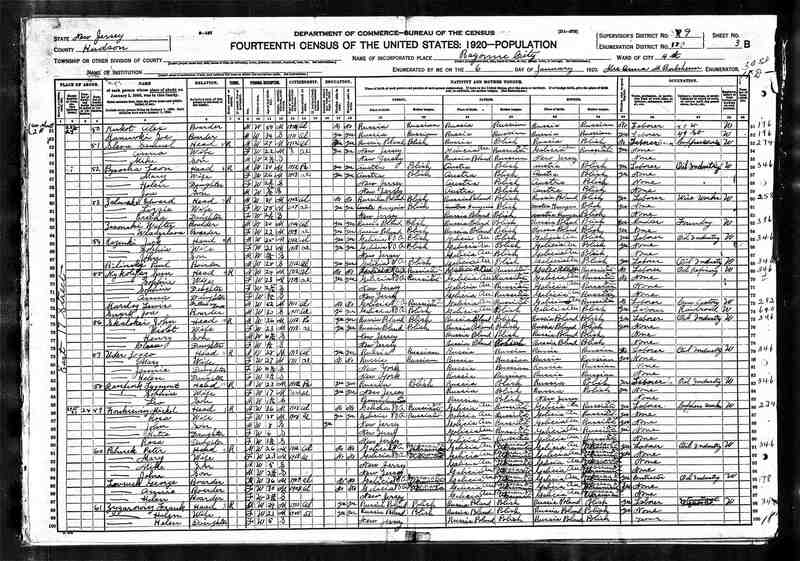 Raupuk, Albert, son, age 19, single, completed 2nd year of high school, born NJ, was seeking work during week of March 24-30, unemployed for 4 weeks, occupation "bale" in pipe mill, a wage or salary worker in private work, worked 28 weeks in 1939, $800 wages in 1939, no other income. 5. Raupuk, Edward, son, age 17, single, attending school, completed 3rd year of high school, born MD, in school, worked 0 weeks in 1939, $0 wages, no other income. 6. 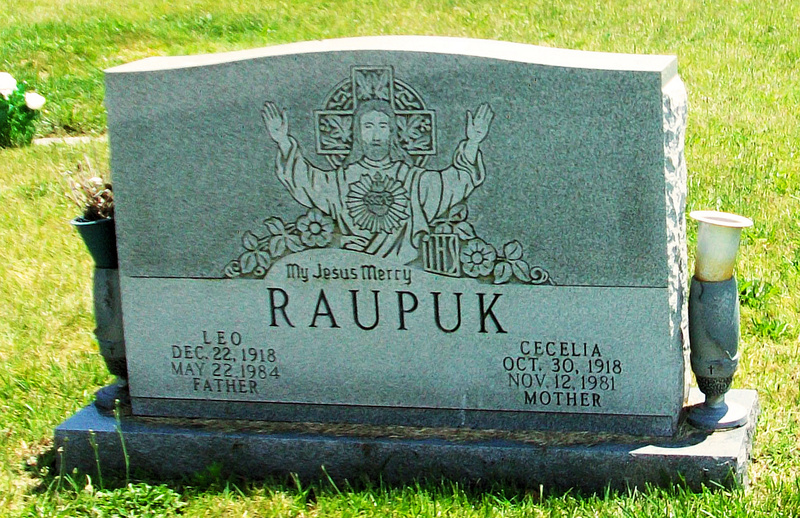 Raupuk, Jeanette, daughter, age 16, single, not attending school, completed 8th grade, born MD, was seeking work during week of March 24-30, unemployed for 52 weeks, new worker, worked 0 weeks in 1939, $0 wages in 1939, no other income, father born Poland, mother born NJ, Polish spoken in home in earliest childhood, not a child of a veteran, does not have a Social Security number, usual occupation waitress in cafeteria. 7. Raupuk, Milton, son, age 13, single, attending school, completed 5th grade, born MD. There is a married couple, not related to Raupuks, paying rent at the same address, so possibly Sygmund and Sophie are renting out a room.